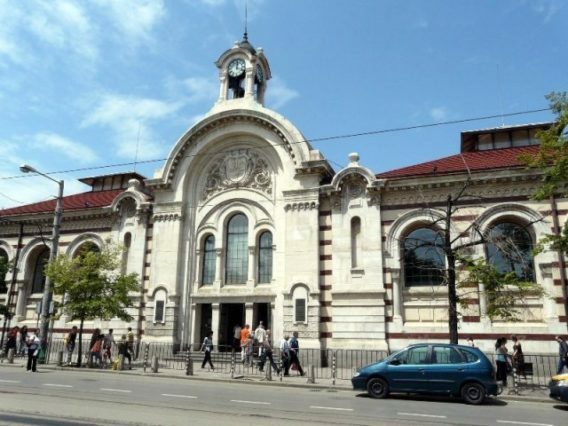 The Central Sofia Market Hall is a covered market in the center of Sofia city, on Maria Louise Blvd. also known as Halite . It was opened back in 1911 and today is an one of the strategic shopping locations in the city. The style is Neo-Renaissance, and features elements of Neo-Byzantine as well as Neo-Baroque architecture. Interesting features on the facade include the relief of the coat of arms of Sofia above the main entrance and the famous small clock tower with three dials on top of the edifice. Central Sofia Market Hall was originally constructed with 4 entrances, only 3 are used today. 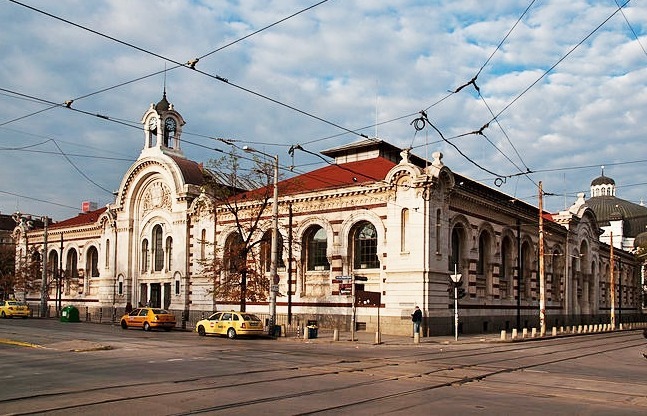 Central Sofia Market Hall was designed by architect Naum Torbov in ‘Renaissance’ style, combined with traditional elements of the Hellenistic tectonics. Above the main entrance, in an arched area, is depicted the coat of arms of the city by the artist Haralambi Tachev. Above it, in an arched turret, was mounted a clock with a triple clock-face. 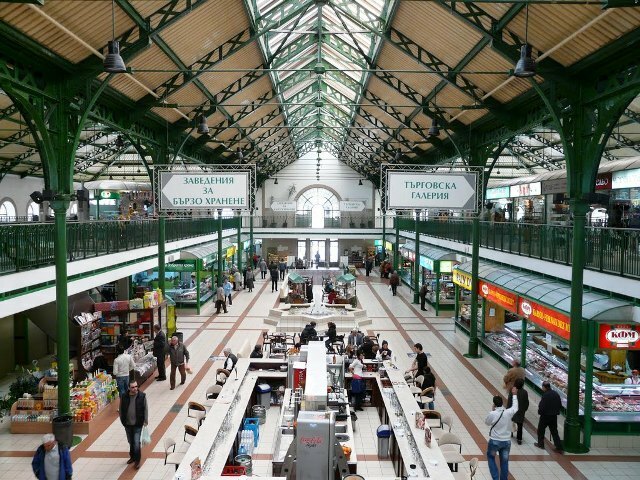 Central Sofia Market Hall is the work of the distinguished craftsman from Kostur (which today is the greek city Kastoria) – Tarpo Kiselinchev, who was among the most prominent artificers – builders of the Ottoman Empire. His son, Georgi, also became a good builder and participated in the construction of the “Market Hall” and the Central Mineral Baths in Sofia. Works of the Kostur construction fellowship are also the tiling of the “St. Alexander Nevsky” church, the American College and others. In 1988, the Market Hall was closed for reconstruction and renewal, which, due to the political changes and the change of municipal authorities went through many ups and downs. 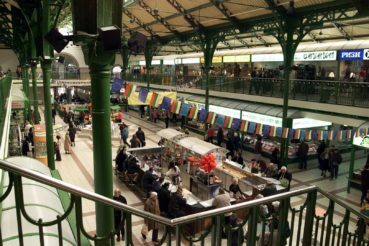 On May 30th 2000, the building of the Market Hall, following an internal architectural reconstruction, was once again opened. Today, the three-storey commercial bazaar houses 169 stores and 1,000 employees. On the basement floor are preserved and exposed archaeological remains from Roman times, of the old city of Serdica. According to archaeologists, on the very same site was situated the Thracian “Sanctuary of the Nymphs”, built around one of the many mineral springs.